Socioeconomic Segregation, School Choice, and Geography of Educational Inequality in Hong Kong, General Research Fund (GRF), Hong Kong Research Grants Council, Amount: HKD $599,440, 2019 - 2020, Duoduo Xu (PI), Xiaogang Wu (Co-I), Zhuoni Zhang (Co-I), Yisu Zhou (Co-I). The 1959–1961 Chinese Famine and Emigration to Hong Kong: A Migrant–Stayer Analysis of Famine Impact on Health and Cognitive Performance, General Research Fund (GRF), Hong Kong Research Grants Council, Amount: HKD $643,110, 2019 - 2021, Zhuoni Zhang (PI), Xiaogang Wu (Co-I). Community and Population Aging in Hong Kong: An Extension of the Hong Kong Panel Study of Social Dynamics (HKPSSD), Collaborative Research Fund (C6011-16G), Hong Kong Research Grant Council, Amount: HKD $4,939,971, 1 Apr 2017 - 31 Mar 2020, Xiaogang Wu (PI), Albert Park (Co-I), Xiangdong Wei (Co-I), Juan Chen (Co-I),Zhuoni Zhang (Co-I). "Ethnic" Enclaves, Migrant Settlement, and Socio-spatial Differentiation in Metropolitan Shenzhen, 2000-2010, General Research Fund (GRF), Hong Kong Research Grants Council, Amount: HKD $436,476, 2017 - 2019, Zhuoni Zhang (PI), Xiaogang Wu (Co-I). Mode and Timing of Immigration from Mainland China to Hong Kong: an Origin-Destination Comparison, General Research Fund (GRF), Hong Kong Research Grants Council, Amount: HKD $641,662, 2017 - 2019, Zhuoni Zhang (PI), Xiaogang Wu (Co-I). Impact of the 1959-1961 China Famine on Adult Health and Cognitive Performance: A Migrant–Stayer Comparison, Start-Up Grant for New Faculty, City University of Hong Kong, Amount: $190,884, 1 Apr 2016 - 31 Mar 2018, Zhuoni Zhang (PI). Neighborhood Characteristics, Parental Practices and Immigrant Children's Academic Performance and Non-Cognitive Skills in Hong Kong, Early Career Scheme (ECS), Hong Kong Research Grants Council (RGC), Amount: HKD $534,300, 2015 - 2017, Zhuoni Zhang (PI), Xiaogang Wu and Jerf Wai Keung Yeung (Collaborators). Research on the Development of a 10-Year Rehabilitation Programme Plan for Macau, Macau Government, Social Work Bureau , 1 Apr 2014 - 31 Mar 2016, T. W. Lo (PI). Empirical Study on Industrial Upgrading, Talent Development, and Social Management in Shenzhen (深圳市產業升級、人才發展與城市社會管理創新實證研究), Key Research Project, Statistics Bureau of Shenzhen Municipality, 2012 - 2013, Xiaogang Wu (PI). Changing Characteristics and Economic Adaptation of the floating Population in Guangdong (廣東流動人口的變化特徵及其融入問題研究), Key Research Project, Statistics Bureau of Guangdong Province, 2011 - 2012, Xiaogang Wu (PI). 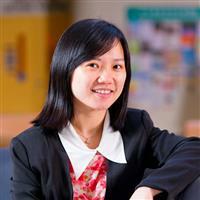 Hong Kong Panel Study of Social Dynamics, Strategic Public Policy Scheme, CUP-RGC, 2009 - 2014, Xiaogang Wu (PI). Xu, Duoduo. , Wu, Xiaogang. , Zhang, Zhuoni. & Dronkers, Jaap. (2018). Not a Zero-Sum Game: Population Migration and Child Well-Being in Contemporary China. Demographic Research. 691 - 726. Zhang, Zhuoni. & Wu, Xiaogang. (2017). Occupational Segregation and Earnings Inequality: Rural Migrants and Local Workers in Urban China. Social Sciene Research. 61. 57 - 74. Wu, Xiaogang. & Zhang, Zhuoni. (2015). Population Migration and Children’s School Enrollments in China, 1990–2005. Social Science Research. 53. 177 - 190. Zhang, Zhuoni. (2014). Contingent Transition to Triumph: Socioeconomic Attainments of Chinese Immigrants’ Children in Hong Kong. Chinese Sociological Review. 46. 68 - 88. 吴晓刚, & 张卓妮, (2014). 户口、职业隔离与中国城镇的收入不平等. 中国社会科学. 2014年第6期. 118 - 140. Zhang, Zhuoni. & Treiman, Donald J. (2013). Social Origins, Hukou Conversion, and the Wellbeing of Urban Residents in Contemporary China. Social Science Research. 42. 71 - 89. Zhang, Zhuoni. & Wu, Xiaogang. (2011). Social Change, Cohort Quality and Economic Adaptation of Chinese Immigrants in Hong Kong, 1991-2006. Asian and Pacific Migration Journal. 20. 1 - 29. Wu, Xiaogang. & Zhang, Zhuoni. (2010). Changes in Educational Inequality in China, 1990-2005: Evidence from the Population Census Data. Research in Sociology of Education. 17. 123 - 152. 张卓妮, & 吴晓刚. (2010). 农村劳动力迁移与中国工资收入不平等的地区差异:来自2005年全国人口抽样调查的证据. 人口与发展. 2010年第1期. 11-18. Yeung, J. W. K. & Zhang, Zhuoni. (2015). Parents’ religious involvement, family socialization and adolescent behavioral problems in Hong Kong. Advances in Sociology Research. (pp. 29 - 50). New York. Nova Science Publishers. Zhang, Zhuoni. & Wu, Xiaogang. (2015). The Growth of Chinese Professionals: A New Middle Class in the Making. Handbook of Class and Social Stratification in China. (pp. 292 - 313). Edward Elgar.